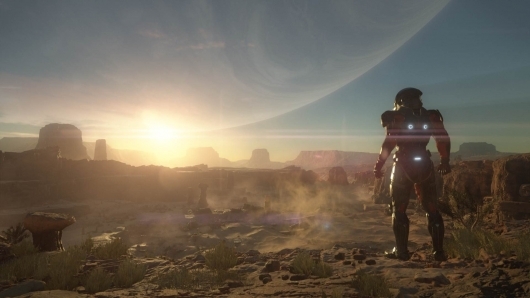 BioWare has shared an update on the status of Mass Effect: Andromeda, the fourth title in the hit third-person sci-fi action shooter series, which includes the announcement of a new release window for the much-anticipated game. The update is brief, but covers how things are looking with the game, some things fans can expect to experience when they get their hands on it, and of course the new release window, which isn’t too far after the late 2016 release we were previously expecting. You can read the full update from BioWare below. With Mass Effect™: Andromeda, our team at BioWare™ is exploring how far they can take this beloved franchise. Yes, we’re building the best of what we all love about Mass Effect – amazing stories, characters and fun third-person shooter combat – and bringing them along with us on the expedition to Andromeda. But we’re also excited to be introducing new features and ways you can enjoy a Mass Effect game. • More Freedom: One of our biggest ambitions is to give players an unprecedented level of freedom for a Mass Effect experience –where you’ll go, how you’ll get there, and how you’ll play. • New Uncharted Worlds: We’re leaving the Milky Way behind and headed to Andromeda, where we’ll meet new allies, confront new enemies, and explore fascinating new worlds. • The Next Great Mass Effect Experience: Mass Effect: Andromeda will be the first Mass Effect game for today’s consoles and the first built on the Frostbite engine. We’re pushing the technology to deliver visuals, story, and gameplay that have never been done in franchise history. As we’ve been playing the game at the studio recently, it’s showing us that we’re taking the game in the right direction. But we also know we need the right amount of time to make sure we deliver everything the game can be and should be – that’s our commitment from all of us to all of you. Because of that, Mass Effect: Andromeda will now ship in early 2017. We can’t wait to show you how far we’re all going to go. We’ll see you at the EA PLAY press conference on June 12, with an update. I’m usually fine with a game delay, as it usually ensures a better final product. But as a huge fan of the Mass Effect games—yes, even Mass Effect 3, a phenomenal game with one of the best multiplayer offerings I’ve personally ever played which suffered heavy damage thanks to its poor ending—I’m especially fine with Andromeda getting pushed back to 2017. I, like many others, have incredibly high hopes for it, and the more work that goes into it, the better the chances I won’t be let down when it finally arrives. If you missed it, be sure to check out the first trailer for Mass Effect: Andromeda as well.